Almost a full decade on since their first Herculean tussle, Bumblebee and Barricade are at it again in the latest promo for Transformers: The Last Knight. Granted, it’s not so much a promo for Michael Bay’s blockbuster sequel as it is a commercial tie-in for Coca-Cola, so don’t be too surprised if the footage above doesn’t actually appear in The Last Knight in little over a month’s time – not that a lack of exposure has been much of an issue for the film, mind you, given the sheer volume of promos, TV clips and viral marketing littering the interwebs in anticipation of June 21st. 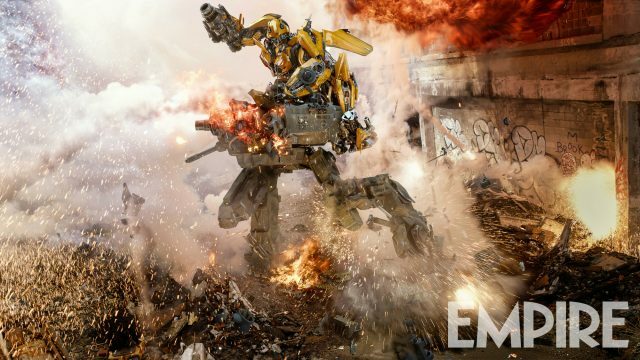 On June 21st, Michael Bay will unveil his latest (and potentially greatest?) entry into Paramount’s live-action juggernaut. Word is that Transformers: The Last Knight will go down as the director’s last dalliance with those beloved robots in disguise, but with rumblings of multiple Transformers spinoff movies kicking into gear over at Paramount, don’t be too surprised if (when?) the filmmaker changes his mind.